This release includes some minor new features and bug fixes in VGM but is primarily focused around the Company Portal and MTD (making tax digital) compliance. New features include exports to Xero and Quickbooks as well as a direct integration with the HMRC allowing you to submit your VAT Returns. Bug: Saving a Jobsheet could cause an exception writing to the event log. Fix: Additional logic in the save method to avoid this exception being thrown. Bug: The planner is not refreshing when new bookings are created through the booking systems. 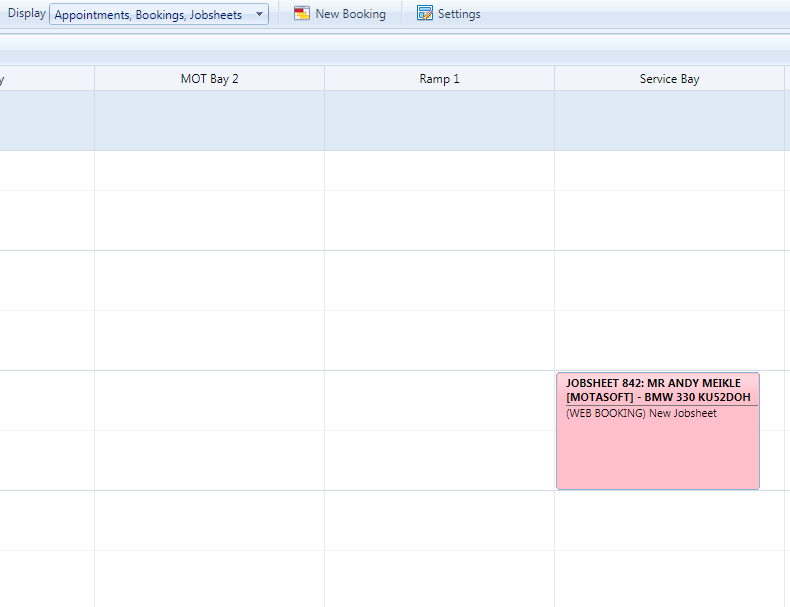 Fix: The planner now refreshes inline with the diary screen meaning all new bookings will show immediately. Bug: When a technician is marked as inactive the incorrect technician is showing against the booking. Fix: The reason for this is that the technician was no longer being loaded, since they were inactive. This has been changed so they will still show if previously allocated to a booking to retain historical data. Bug: Calc max net button in parts is confusing. Fix: This has been changed to now be called ‘Find Max Price’ which is more representative of its functionality. Bug: Double clicking technician tracking could cause duplicate entries. Fix: There is now logic to stop this from happening. Bug: Creating a jobsheet from a shopping basket was causing an error. Fix: The logic behind this procedure is now fixed. Previously when adding a labour rate to a document there was no way of amending the description unless the user went back and edited it, this has now been changed so that the labour rate can be amended when adding a new line to a document. Users can now add credits themselves from the home screen, this functionality is switched off by default but if you're interested in trying this feature out please contact Motasoft support. Bin locations are now available as an additional field in both parts and tyres and can be viewed on the main grid. There is now a setting to force users to enter a vehicle mileage when saving documents. You can now configure the priority of slot types in their edit screen which will determine the order of which they display in your online booking system. Nominal codes can now be assigned to extras. There are now screens in VGM that allow you to manage your purchase payments and refunds. You can also amend the date the payment was received to match your bank account for cash accounting. These screens have been enhanced to allow amendment of payment allocation dates to match your bank account for cash accounting. Users can now add multiple temp parts in one go to a document without having to open the window again each time. 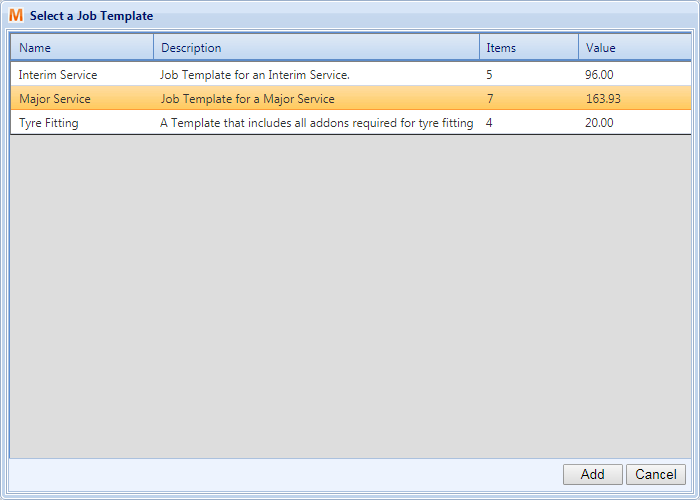 Job Templates can now be duplicated to save time. 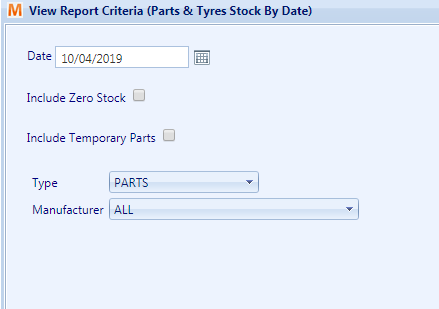 There is now a checkbox in the report criteria which allows you to determine whether temp parts are shown in stock reports. There is now a dropdown within the Jobsheet that allows users to assign a bay. This is reflected in the planner too. 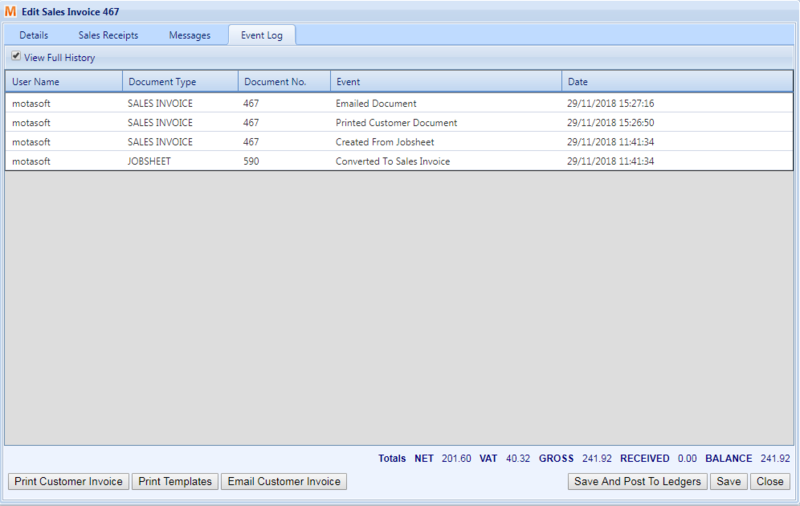 Purchase returns now log events such as printing, emailing and crediting to align them with other purchase documents. There is now a setting against the customer record to enforce a credit limit, the customer record will also show their current account balance. There is now a setting to switch on incremental document numbering in purchases. This works in the same way as sales documents. The Company Portal now supports exporting your data in a format compatible with Xero and Quickbooks. We now have a direct integration with the HMRC through the Company Portal. 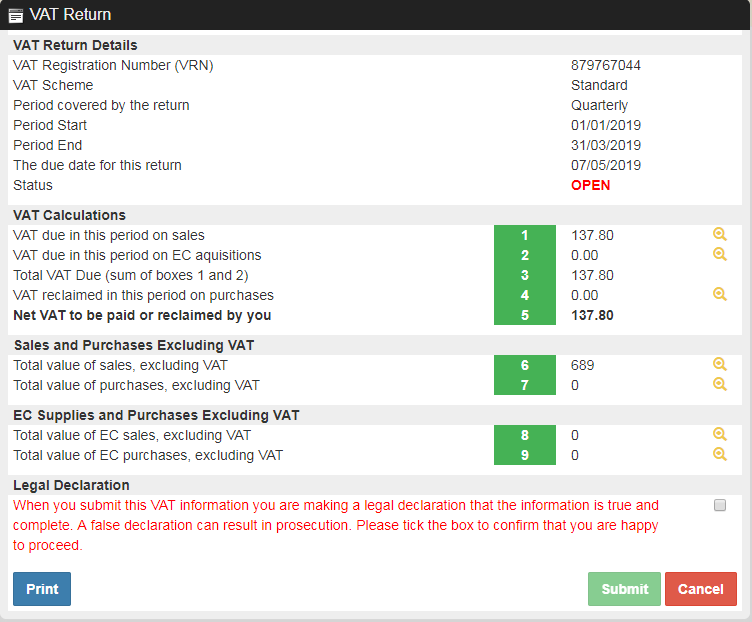 This will automatically calculate your VAT return, show you a break down of the transactions in each section of the return and finally allow you to submit it to HMRC. Bug: Entering an appointment description above maximum length causes an error. Fix: Prevent entry of of long descriptions above maximum character length. Bug: Address fields aren’t included on Communication Consent Exports. Fix: Added Address 2, Address 3, County to Communication Consent Exports. Bug: “Sales Invoices” window is inappropriately named (displays Invoices, Credits and Quotations). Fix: Re-named “Sales Invoices” to “Sales Documents”. Bug: Temporary parts are visible on Stock reports. 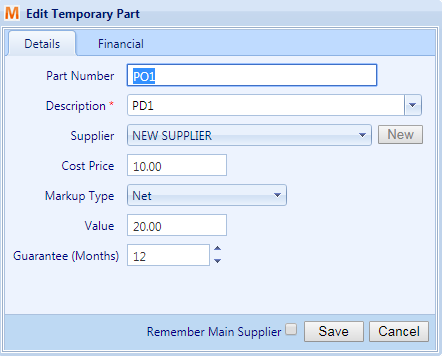 Fix: Stock reports now include a checkbox to determine whether Temporary Parts are included. Bug: Inactive technicians showing up in Jobsheets and Planner configuration. Fix: Technician drop-down boxes in Jobsheets and Planner config now check whether technician is active. Bug: “Allocate Sales Refund” throws an error if Xero is enabled. Fix: Amended disable “Add New Refund” button when Xero is enabled, to prevent error. Bug: Service prices loading incorrectly in Diary if slot type has no group. Fix: Service slot types without a group now load prices correctly. 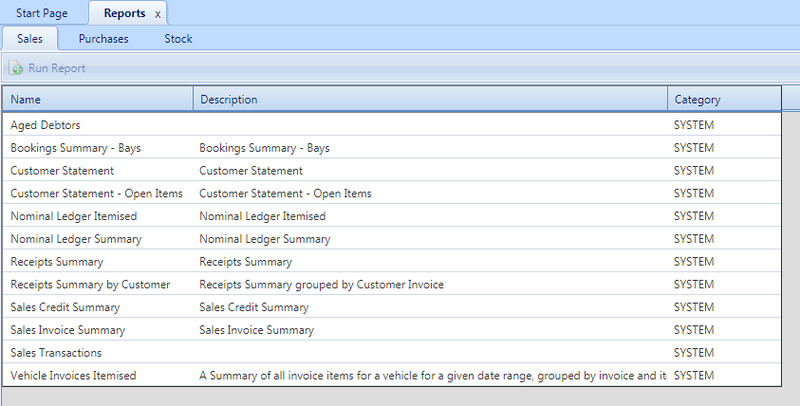 Bug: Unable to add a Vehicle to sales invoices created from scratch. Fix: Re-added code (previously removed) adding Vehicle to sales invoice. Bug: Unable to select a message template when sending messages from Jobsheets in the Planner. Fix: Visible message templates are now determined by what data is available on the jobsheet (e.g. Customer, Vehicle). Bug: Closing another tab when a Diary tab is selected throws an error. Fix: Closing non-diary tabs while a diary tab is open is now handled correctly. Bug: Planner throws an error if bookings exist with a duration > 1 day. Fix: Planner now supports bookings with duration > 1 day. Bug: Planner doesn’t display bookings with start/end date & time outside of current visible range. Fix: All bookings overlapping current date range will now display, even when start and date dates are both outside of visible range. Bug: Add / Edit Special Offer window “Discount Type” dropdown breaks when changed. Fix: This issue was caused by an error when updating the view when a new selection is made. This has now been fixed. Bug: Sales Receipts / Refunds grids were being ordered by date incorrectly (ordering by text rather than date value). Fix: The date columns on these grids now order correctly by their date value. Bug: Saving custom items in Jobsheets doesn’t save the selected Nominal code. Fix: Custom items on Jobsheets now correctly save their nominal codes. Bug: Add / Edit Special Offer window only allows whole numbers in discount field. Fix: Decimal values are now allowed in the Discount field. Bug: Planner Add Booking (into existing slot) displays available slots which are missing Technician and BayIDs. Fix: Technician and Bay ID are now required for slots to display in the Available Slots dropdown. Bug: Inactive special offers still visible on Umbraco booking systems. Fix: Inactive special offers will now be hidden on Umbraco booking systems. Bug: Umbraco New Vehicle IDs not saving to shopping basket. Fix: New vehicle IDs created through Umbraco bookings are now saved to shopping baskets. The Search function in Purchase Invoices will now also search the values in the “Supplier” column. In preparation for the MTD legislation coming into force this year, VGM users can now record payments and refunds against Purchase Invoices and Purchase Credits. This extends our existing financial features to include the full Purchases workflow. 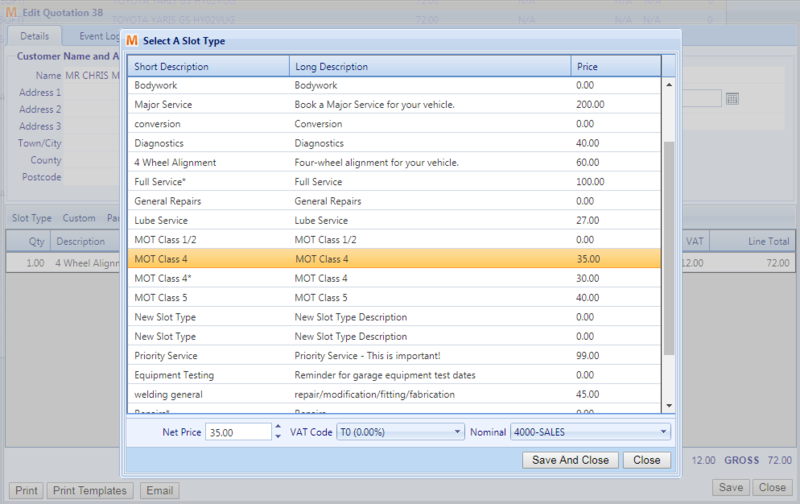 Vehicle has been added to the Sales Invoice and Sales Credit Summary reports. 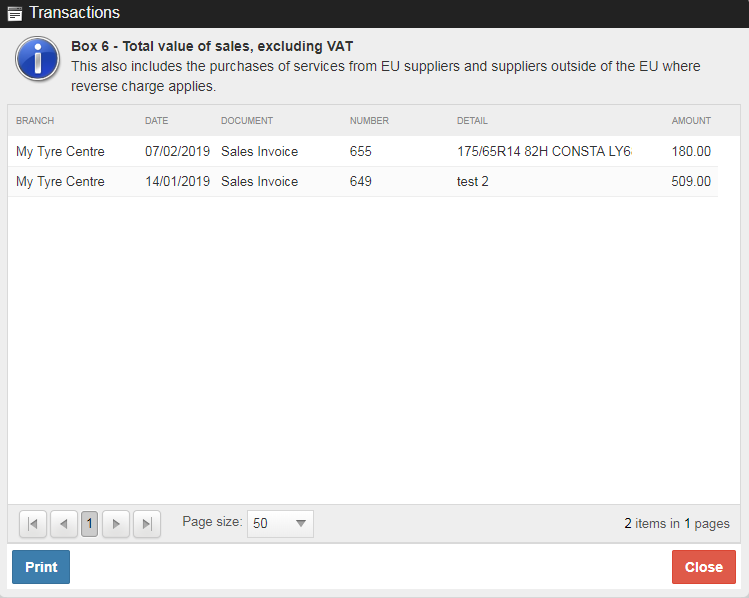 Users can now save the quantities used when adding Custom and Labour items to sales documents. These will be automatically filled when the user next goes to add a Custom or Labour item to a sales document. 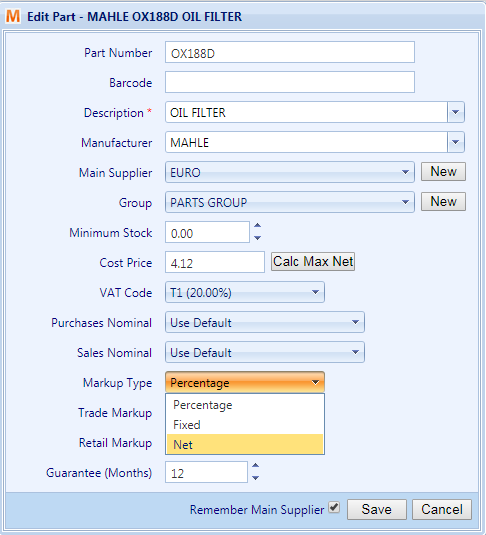 Duplicate parts suppliers in VGM can now be merged into a single record, to improve the quality of your data. 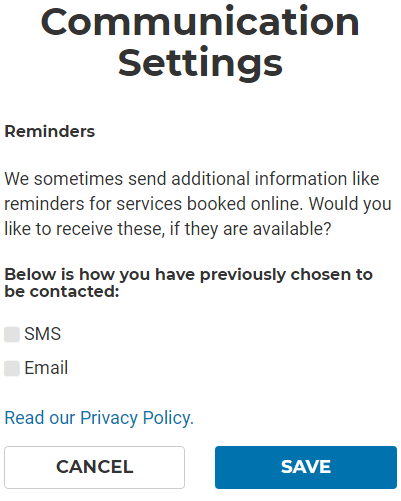 A new option has been added to the “Settings” window, allowing users to decide whether or not they want to ask for communication consent on their booking system. When sending a sales document to a customer, you can now select multiple sales documents for the same customer and send them all in one email. VGM users can now add “Carbon Copy” recipients to emails sent to their customers from VGM. This includes Sales Document emails sent to customers. Branch and Vehicle details both now display on Service Checklists returned from Technical Data Lookups. These are also included on the print-out versions of these checklists. 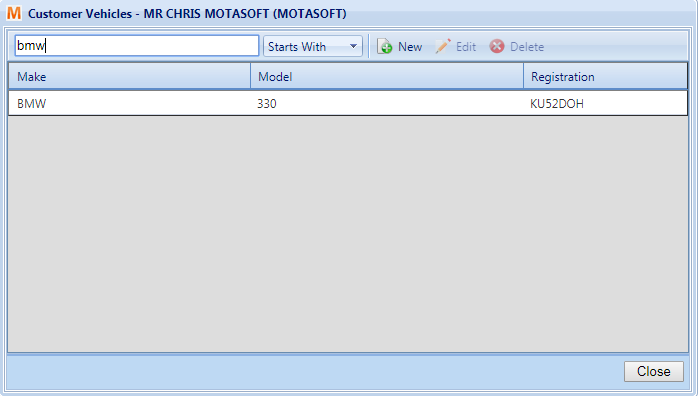 You can not access the technical data feature through the Jobsheets window (right click), and the Add / Edit Jobsheet window (icon in the vehicle details panel). VGM users can now apply a global multiplier to all labour times returned through technical data, when adding a Labour (technical data) item to a document. This will multiply the technical data "estimated hours" value by whatever your multiplier is set to (e.g. 1.2 would add 20%), allowing you to adjust the labour times if you find them consistently too short or too long. This release includes a number of major new features in VGM. These include Purchase Returns, adding Slot Types to a Quote, creating a Quote from a Booking and creating reminders without having to create a Booking. Fix: Change the tab indexes so that hitting the tab key cycles through controls incrementally. 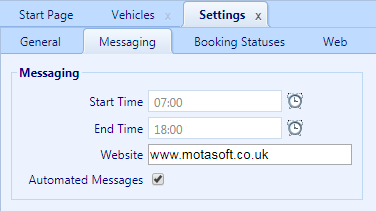 Fix: Added vehicle details to Bookings and vehicle registration to Jobsheets in the Planner. Fix: The customer mobile number was not being loaded causing the option to be greyed out. This has been corrected so sms can now be sent. When in sales documents, there is now an 'Event Log' tab that shows the history of a document, this includes print and email correspondence. Parts and Tyres can now be marked up by a net amount, like in temp parts. This can also be set as the default markup criteria in financial settings. Notes have been added to the preview in the Planner. 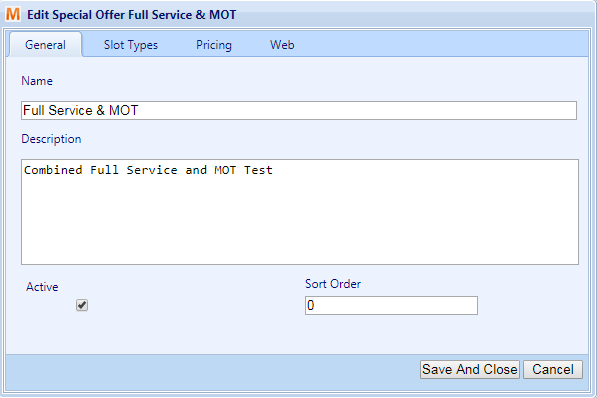 In Purchase Orders you can now check the status of a tyre order directly with the wholesaler. The status will show as Success, Pending or Failure and update the purchase order status accordingly. 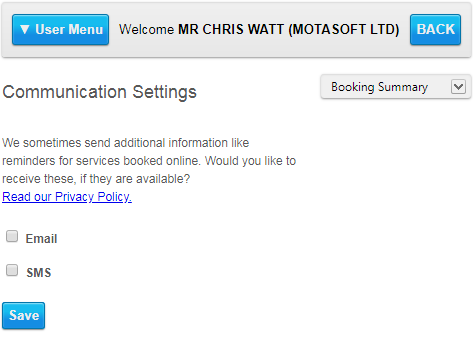 Quotes can now be created from a booking using the right click context menu. 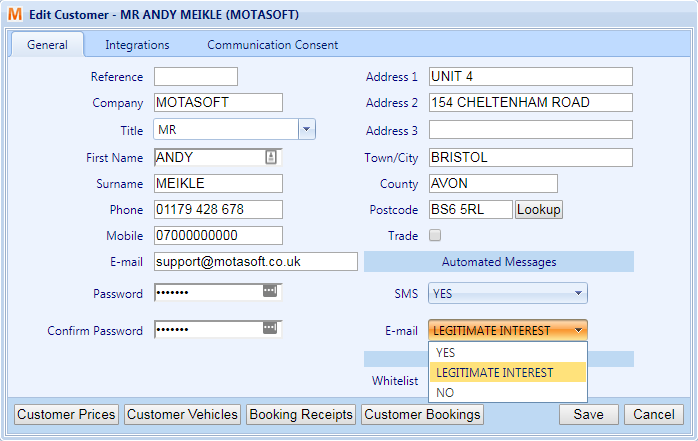 You can also add Slot Types directly to a Quote which can then be converted to a Booking. 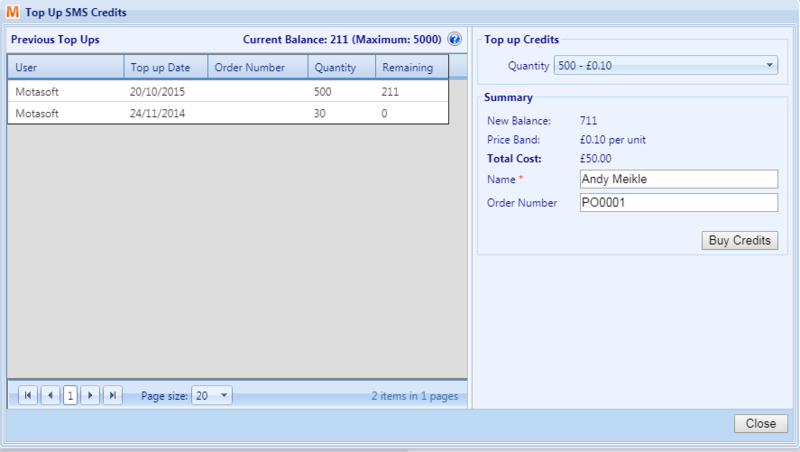 Until now Temp Parts could only be added to invoices and credits, now you can add them to quotes too. You can now duplicate the details of a Quote using the 'Clone Quotation' option in the right click context menu. There is now a search bar in the customer vehicles screen to make it easier to find certain vehicles if there are many results. 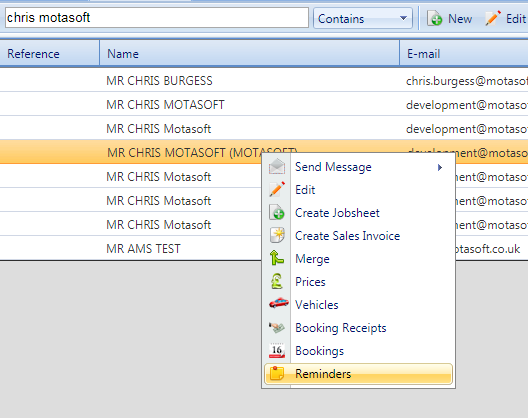 You can now create reminders for customers without having to create a booking. The Booking notes column has now been added to the main Diary. 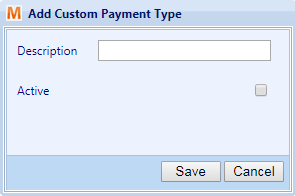 You can now add custom payment types to VGM allowing you to extend the system defaults. 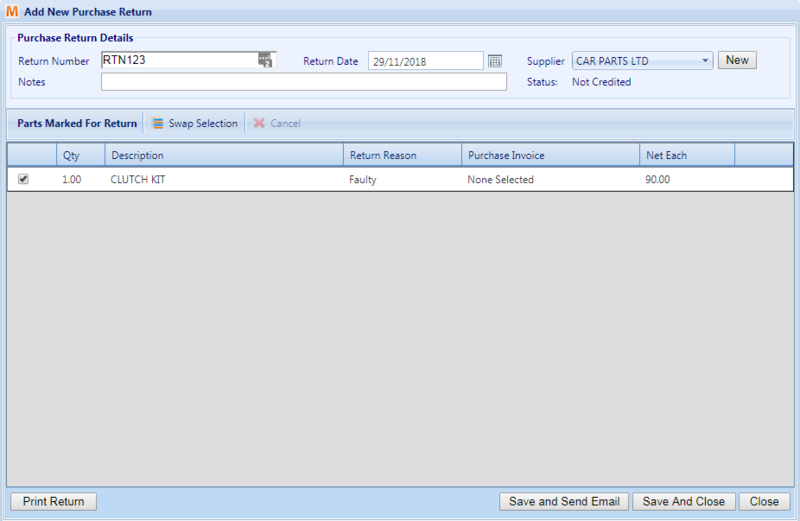 VGM now allows you to manage your Purchase Returns; Parts are marked for return in your stock management screen. You can then log details about the item and create the return. Bug: Changing grouping resource in the settings doesn't order them correctly. Fix: Reload the resources when the grouping type is changed. Under the config options, you can now add, edit and delete special offers. When converting a Sales Invoice to a Sales Credit, an alert now shows to enable you to cancel if clicked by mistake. New parts below minimum stock level, Jobsheet Summary, Jobsheet Summary Itemised, Jobsheet efficiency and Technician efficiency reports have been added. Parts and Tyres can now be filtered by below, above or all stock levels. Sales invoices now have a link back to their corresponding Jobsheet. For bookings, labour and custom Jobsheet items, and technical data you can now assign a technician with a start and end time. 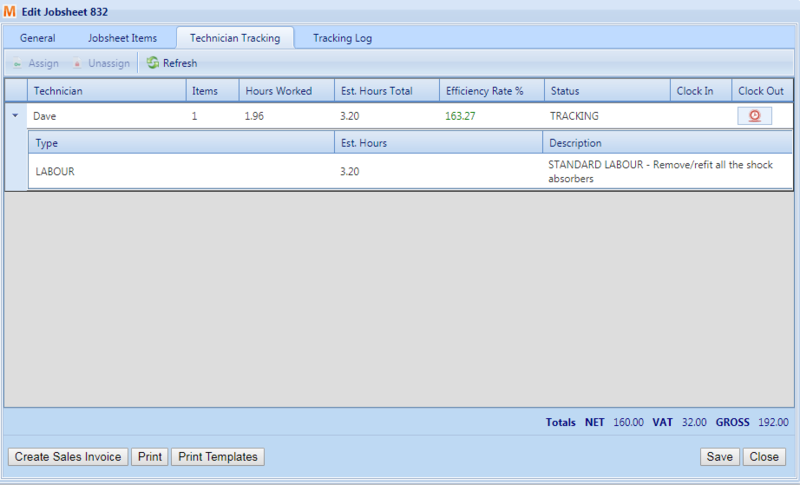 If Technician tracking is enabled, you can instead assign an estimated amount of hours for the Jobsheet Item. 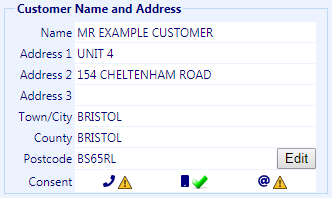 When searching for a customer record, you can now use the vehicle registration number to find the customer. From the Parts or Tyres screen, you can now select duplicate Parts and Tyres to merge into a single Part or Tyre. Sales documents can now be deleted by VGM users with administrator privileges. There is now a Guarantee Period Months field in the temp parts screen. This screen will also load the default parts markup from the financial settings. There is now forgotten password functionality at login within VGM. Enter your username and a single use login link will be sent to the email account associated with the user. Clicking on this link will automatically log you into VGM where you can reset your password. For administrators, there is now the ability to track Technician time against a Jobsheet. This is enabled in the settings screen, then from within a Job sheet, using the new tabs you can allocate individual Jobsheet items to a Technician. You can then begin tracking their time, which will calculate their hours worked and efficiency rating which will update in real-time as they work. This release includes a number of quality-of-life improvements to VGM. 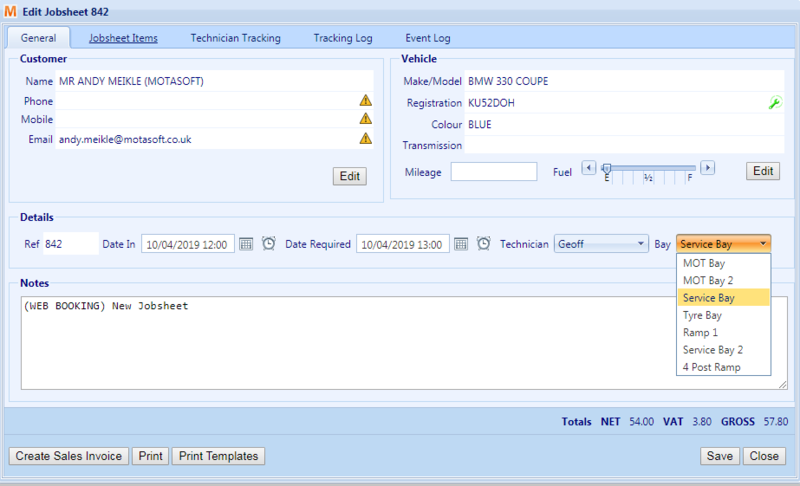 New features include the ability to select alternative templates when printing documents, and view the full history of a vehicle (rather than just its booking history). Bug: Browsers auto-fill email in add customer screen. Fix: Browser will now only populate email if user has specified this to be saved in the browser. Bug: Customer Search doesn’t return results if customer has no vehicles. Fix: Customer search query now supports customers without vehicles. Bug: VAT codes window displaying auto-generated columns. 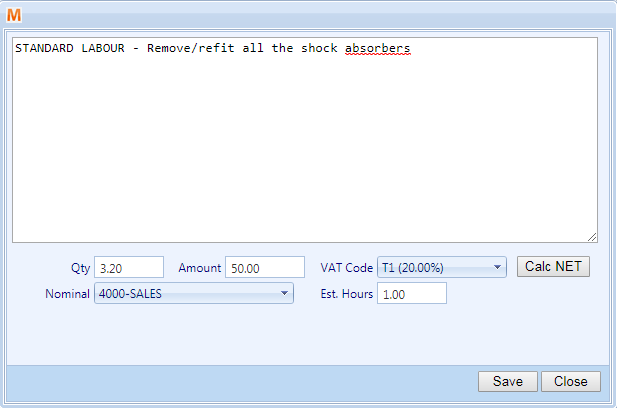 Fix: VAT codes window now displays correct columns. Bug: Communication consent doesn’t pass customer name into the Add consent window. 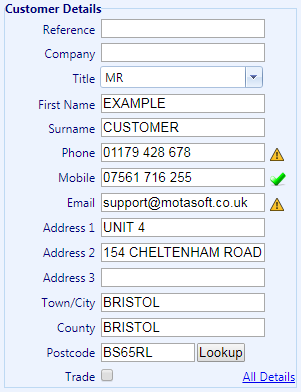 Fix: Add consent window now populates title with customer name correctly. Bug: First name of customer not displaying on planner items. Fix: Modified query for planner items to correctly display the customer’s full name. Bug: When deleting a slot type, not all references are removed in the database. Fix: Deleting a slot type now removes references to the slot type from all tables which reference the slot type. Bug: Changing Vehicle Owner gets overwritten if the vehicles window is immediately saved. Fix: Vehicle owner is now unaffected when saving vehicle after assigning a new owner. 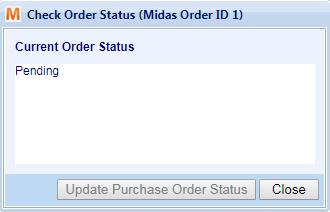 Bug: Purchase orders grid does not display empty purchase orders. Fix: Purchase orders grid now displays purchase orders with no items. The parts screen now supports searching via a part’s barcode. This means that parts can be found in VGM by scanning their associated barcode, rather than searching by stock code or description. New message templates created for slot types now have automated messages turned on by default, if your branch has Automated Messaging turned on (visible by the tick or cross at the bottom of the VGM window). 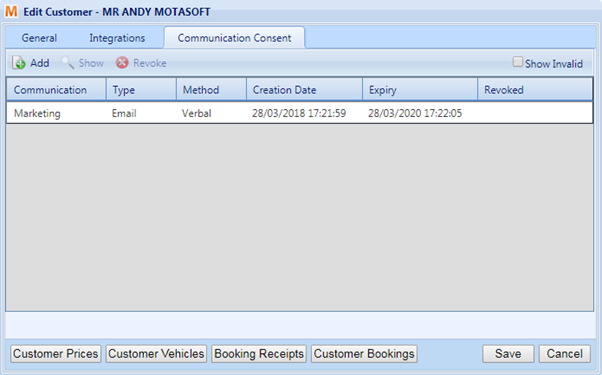 We have replaced the "Vehicle Bookings" window (displaying all bookings for a specific vehicle) with a new "Vehicle History" window, which displays all Bookings, Jobsheets, Sales Invoices, Quotations and Sales Credits against that vehicle. You can now remove the current owner of a vehicle without setting another customer as the new owner. You can now specify a default nominal code for Slot Types, which will be populated automatically when a new slot type is created. VGM previously only allowed the processing of current or historic Printer Reminders from the reminders screen. You can now process future Printer Reminders, processed Printer reminders will now display in the outbound message queue. You can now add notes to customers from the "Add / Edit Customer" window. You can now email customer statements to customers through the Reports screen. In Jobsheets, Quotations, Sales Invoices and Sales Credits, you can now print with alternative document templates (templates other than the one currently selected in the financial settings). VGM will now save your selected technician filters in the Jobsheets grid. This release of VGM includes major time-saving features requested by our users, and minor adjustments to our new GDPR functionality. New features like Job Templates will help you to more quickly build up quotes, jobsheets and sales invoices, while the new “Find Duplicates” and “Merge” functionality will make it easier than ever to maintain the quality of your customer database. 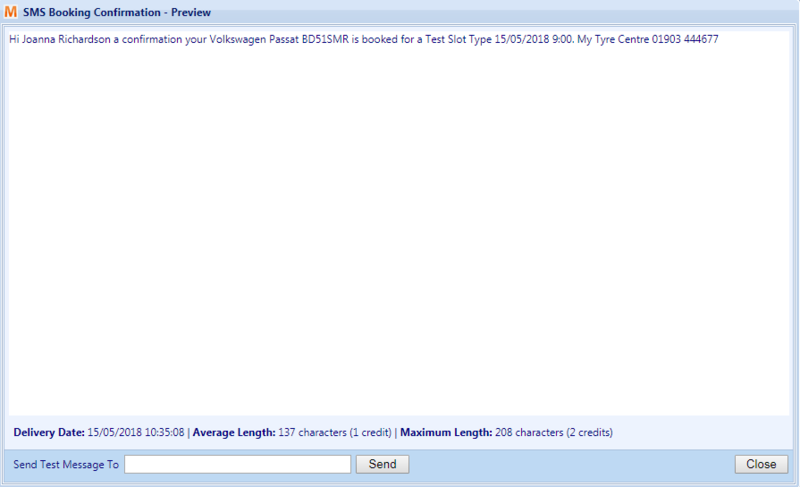 Bug: Converting a Booking to a Jobsheet doesn’t check that the Customer and Vehicle have been correctly completed. Fix: Converting a booking to a jobsheet will now validate both the customer and the vehicle. Bug: Purchase credits cannot be unlocked after posting (while all other documents can). Fix: Purchase credits can now be unlocked by admin users. Bug: In the edit user screen, when checking or unchecking the administrator box unsaved values could be lost. Fix: The issue was caused by showing and hiding the user privileges tab, this is now enabled and disabled instead. Bug: Each time a VRM lookup is executed the vehicle fuel type dropdown duplicates its contents. Fix: The fuel types need to be reloaded each time a VRM lookup is executed, so the data source is now being cleared each time to avoid duplicate contents. Bug: In the Outbound Messages screen, the message preview is being overlapped by search controls. Fix: Adjusted the control priority on the page allowing the message preview to appear on top of the search controls. Bug: The customer consent management screen could run slowly on large customer databases. Fix: Optimised database queries for large data sets. Bug: Jobsheets grid sometimes fails to refresh when creating a sales invoice or changing the jobsheet status. Fix: There was an error being thrown when there were no rows left in the list, there is now a check to resolve this. Bug: Jobsheets don’t enforce validation on customer and vehicle details when going to convert to a sales invoice. Fix: Validation is now enforced, meaning these details must be entered to create a jobsheet. Bug:Inserting a booking in the diary creates a slot for one minute later than the time selected. Fix: This was the result of a time conversion issue between the client and server. This has now been rectified. This new feature allows you to move any existing booking to any new time, regardless of whether you have an existing slot to move the booking into or not. This means that users who primarily work by inserting bookings (rather than using a default slot profile) can now move bookings without having to insert a new slot first. VGM will now remember the Search Types (e.g. Starts With, Contains etc…) that you use for each Search bar within the system. VGM will pre-select your last used search type for that search box, allowing you to more quickly search your data in whichever way you prefer. One of our biggest new features is the new “Find Duplicates” option within Customers. This screen allows you to select duplicate criteria (e.g. Full Name, Email Address or Phone Number etc...) and find duplicates of that criteria in your customer database. These can then be merged using our new Merge functionality. 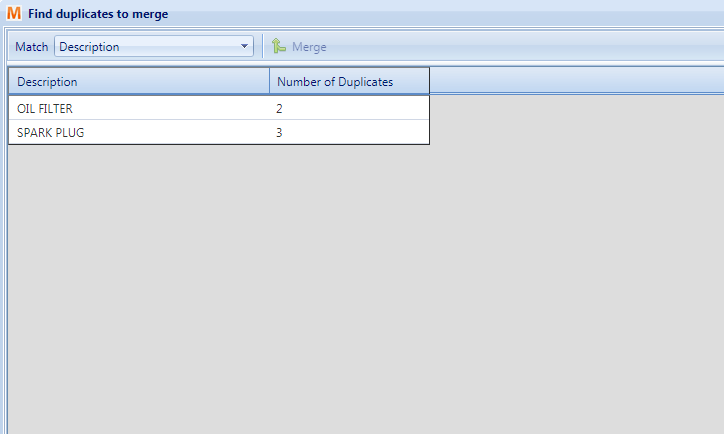 Alongside our new “Find Duplicates” functionality, we have also overhauled the merge functionality for customers. Now when merging customers through the “Find Duplicates” menu, you can pick and choose which data you wish to retain in the merged customer. This will allow you to more easily consolidate duplicate customer records who may have different data that you wish to retain. One of our most commonly requested features, Job Templates allow users to store pre-made templates of common Quotation, Jobsheet or Sales Invoice items and easily add them to sales documents. There is now a global setting to switch on message unsubscribe links. This means that every message that is sent out will have a shortcode appended to the end, allowing customers to manage their communication preferences. Beforehand the only way to do this would have been to enforce reminder or marketing consent. VGM now has an additional message type that you can assign to your message templates. This message type will allow you to send messages that do not require customer consent, such as same day reminders. 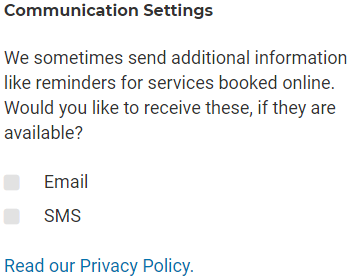 You can still switch these off using the automated message status against the customer record, which will default to "Yes" for new customers (meaning they will receive all messages, as long as you have the correct consent if required). The financial reporting screen has now been refactored into report types for sales, purchases and stock, making it easier to read. This release includes new tools to help our customers become GDPR compliant, as well as amendments to the messaging system (e.g. Unsubscribe links) in preparation for the legislation deadline on the 25th. Bug: Xero sometimes prevents users from connecting via VGM (multiple auth tokens issued to single user). Fix: This issue was caused by VGM trying to log in to Xero with old credentials from previous sessions. These old credentials are now removed correctly when connecting to Xero from VGM, preventing the issue. Fix: We have added the customer company to the Customer Name field in the Reminders grid. We have added a new Communication Consent Management tool to VGM. This tool provides you with a vast range of filtering options, allows you to review and add consent for customers, and includes an export-to-spreadsheet feature. This new functionality will help you remain GDPR compliant when exporting your VGM customers to marketing platforms like Mailchimp, and give you a clear view of the consent status of your customer base at a glance. For the first time ever, VGM users can now send SMS messages longer than 160 characters! This feature is disabled by default to prevent a sudden increase in credit costs for our customers, however you can turn it on by navigating to “Config” > “Settings” > “Messaging” and changing the “SMS Credit Limit” value. Changing this value to a number greater than 0 will limit outbound SMS messages to that quantity of credits, so you can control your maximum cost per communication. 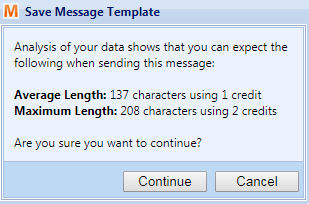 Changing this value to 0 will remove all limits, meaning that every message will be sent in full. 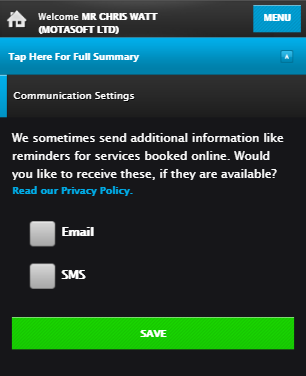 SMS Messages and Emails that require consent (Reminder or Marketing) will now automatically have an unsubscribe link added to them. This will take customers to our new Customer Portal, which will allow them to manage their own consent preferences whenever they like. VGM will now analyse character length in SMS message templates, giving you a real time picture of how your messages will send. You can use this feature by clicking the ‘preview’ button, which will give you a breakdown by average and maximum character length and the amount of credits required to send the message. When you are finished with editing a message template, VGM will also give you a summary of the message before you commit to saving it. VGM will now show you unsubscribe links as part of the message preview, giving you a more accurate picture of the messages that will be sending out. This release is the the first of several updates focusing on compliance with the new EU GDPR Legislation, coming into effect in May this year. Features include new communication consent procedures for all booking systems, alongside new tools within VGM to manage customer consent. Bug: VRM Lookup sometimes hangs if a matching service price cannot be found. Fix: VRM Lookup now informs the user that a price cannot be found, and returns them to the “select slot type” step. Bug: Tyre Lookup widget shows a “Change Vehicle” button if no VRM Credits are available. Fix: The “change” button is now hidden when VRM credits are missing. Bug: Time estimates displaying incorrectly, if some durations aren’t configured. Fix: Time estimates will now be hidden unless durations are defined for all slots in the basket. Bug: VRM Lookup sometimes returns a null tyre, causing the tyre select screen to hang. Fix: VRM Lookups have been amended to exclude null tyres returned from the data provider. Bug: Some Mercedez VRM lookups not matching a service. 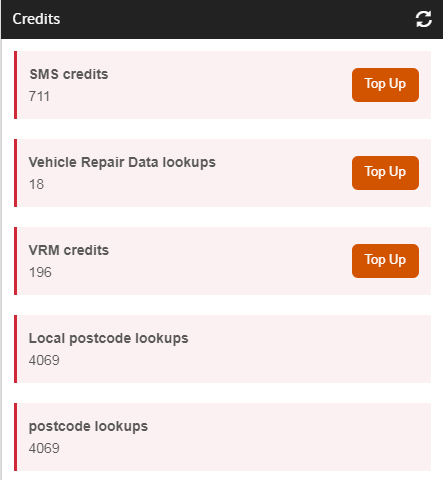 Fix: The VRM lookup did not format the vehicle make correctly in some cases which caused it not to match a service make, this has now been fixed. Bug: Using an existing slot in the planner doesn’t always put a booking on the selected date. Fix: The issue with loading the booking date has been corrected. Bug: Fuel type not populated after VRM lookup when inserting a new booking. Fix: Fuel types were not being loaded through this entry point which was causing the issue, this has now been fixed. Bug: When closing a Jobsheet the main grid clears any sorting. Fix: The grid has been enhanced to persist any sorting when closing a Jobsheet. Bug: Adding parts to a work item does not filter by group. Fix: Implemented the ability to filter by part group in this screen. 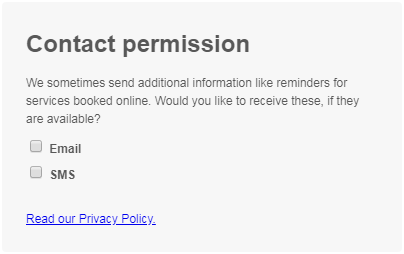 We have updated all booking systems to obtain specific, granular consent for customer communication on every online booking. This currently includes specific consent for reminders sent by SMS and Email, however will soon be expanded to include consent for Marketing by SMS and Email as well. 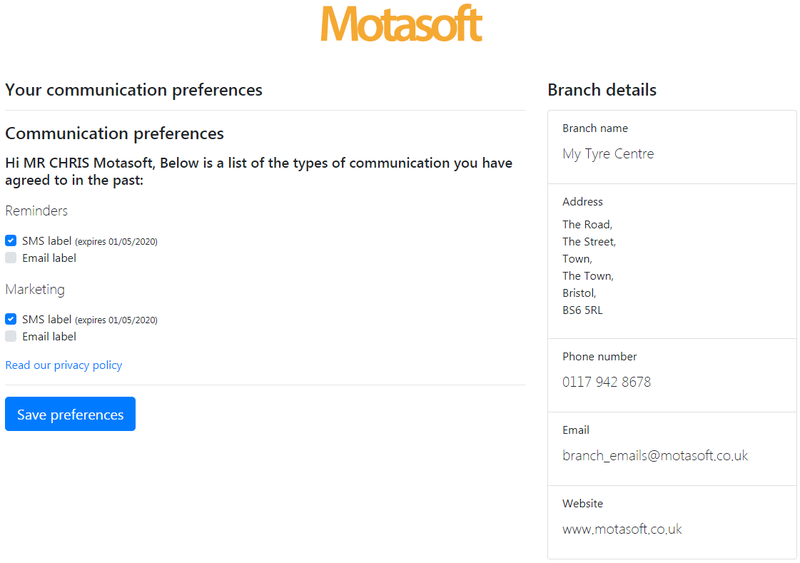 We have also updated all booking systems to include a new Communication Consent Management section allowing customers to manage their communication preferences at any time - whether or not they are making a booking. Changes made here will affect their overall consent settings, determining whether they receive SMS and Email reminder messages. As with the previous enhancement, this will be updated to include Marketing consent in the next release. Consent duration in months (default is 24 months). Checkbox labels for the Email and SMS checkboxes. Whether the checkboxes are ticked by default (defaults to un-ticked). 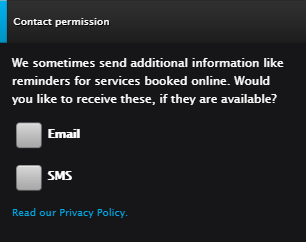 The “Preamble” messages, which appears above the checkboxes in the booking system. You can now view the consent status applicable to any message in the Outbound Message Queue and Reminders pages, within VGM. These will display as red if the message cannot be sent due to invalid consent, or black if valid consent is available. If the message has already been sent, the colour code will reflect whether it can be re-sent at that point in time. VGM now alerts you to any missing customer communication consent at all points of sale, which can then be quickly captured and saved against their customer record. VGM allows you to view queued messages and capture consent from Bookings, Jobsheets, Sales Invoices, The Outbound Message Queue and Reminders. You can now view a full audit log of customer communications consent in the edit customer screen, this screen also allows you to edit or revoke communications consent items. Default booking confirmations for all booking systems will now contain the booking notes, alongside the all previously included booking data. 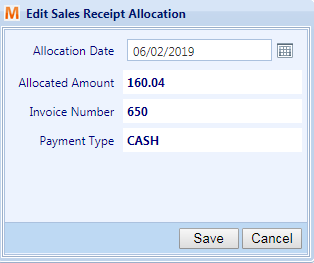 The “Allocate Sales Receipt” window will now order by Date Descending (rather than Ascending), and the checkbox “Hide sales receipts with zero balance” will be ticked by default. This release includes general bugfixes throughout VGM, with the majority being minor fixes for the new Temporary Parts functionality. Major new features include Scheduled Messages for Sales Invoices and a new integration with accounting package Xero. Bug: Booking Details customer search shows previous vehicle owners. Fix: Altered the search query to filter out any previous owners. Bug: Temporary Parts grid not refreshing when temporary parts are deleted. Fix: Added a global event that reloads the Temporary Parts grid when a temporary part is deleted or saved elsewhere in VGM. Bug: On Booking Details & Add Edit Customer, users can enter a phone number into an email field. Fix: Added validation for Customer Email in Booking Details and Add Edit Customer. Bug: Users can add bookings with online payments to existing Jobsheets and/or Sales Invoices. Fix: Added additional filters to the booking search query to exclude those with online payments. Bug: Users can create multiple Purchase Credits for a single Temporary Part. Fix: Reload Temporary Parts Grid when creating Purchase Credits to trigger validation. Bug: Temporary Parts Description dropdown not populating with previous part descriptions. Fix: Removed a filter in the search query that restricted results to Tyres only. Bug: In the Planner settings, users could set day end times that were earlier than day start times, causing an error. Fix: Added additional validation when saving Planner Settings to prevent end times which are earlier than the start time. Bug: SMS Templates contain invalid HTML-encoded characters. Fix: This was caused by Merge tags being added with HTML-encoded characters rather than a regular character set. Additional checks have been added to convert HTML-encoded characters into their normal equivalents. Bug: VAT Code grids don't refresh when editing VAT Rates. Fix: Added a global event to update the VAT Code grids when saving a VAT Rate. Bug: Service pricing in Booking Details doesn't update on VRM Lookup. 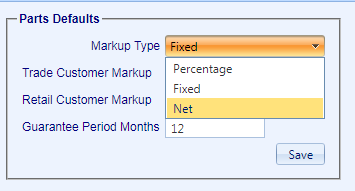 Fix: Successful VRM lookups will now trigger a re-calculation of the booking cost, if a Service slot type is selected. You can now filter (search) Parts by the product group they belong to. You can now search for Purchase Orders by their Supplier name. The automated messages toggle has been moved from the top menu (Messaging > Automated Messages) to the Settings window (Config > Settings > Messaging). 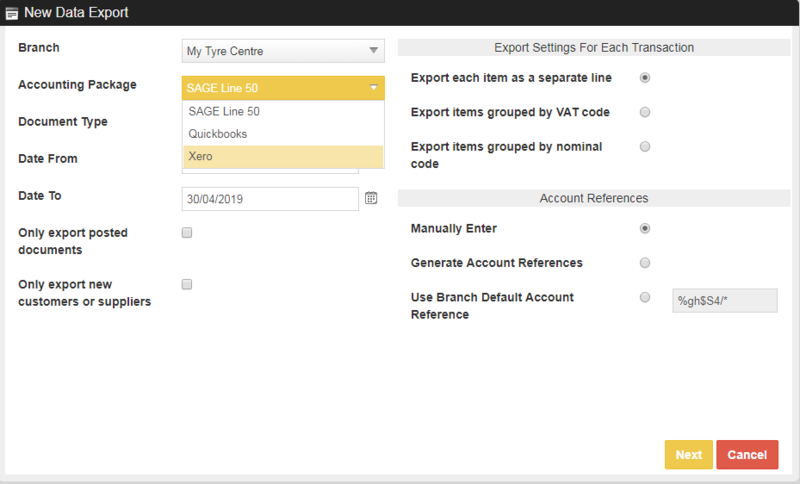 VGM now offers a direct integration with Xero. Our new integration allows you to convert VGM Jobsheets into Xero invoices, instantly creating a new Xero Invoice with all items, payments and customer details included. 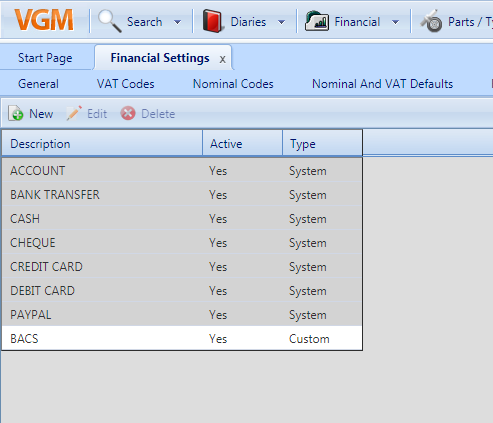 You can then view and print that invoice from VGM, alongside any other Xero Invoices created through our integration. To get started with the Xero integration, contact our support team on 01179 428 678. You can now send Scheduled Messages automatically for posted invoices. This functionality works in a similar way to the Reminders for bookings - Create a message template, set the delivery offset, and it will be automatically scheduled every time you post an invoice. We have recently implemented a new VRM lookup provider into VGM, and our other systems (i.e. Online Booking, etc…). The CarweB VRM lookup includes additional data fields for vehicles searched, like Brake Horsepower figures. Their API also includes a number of additional failover strategies, allowing us to respond to short-term service issues more quickly than with some of our other providers. You can now set a limit for the number of VRM lookups that can be made from a particular IP Address through your online booking system. This allows you to set a maximum quantity of lookups that can be made in a specific time frame through your online booking system, for a single IP Address. You will also be able to whitelist specific customers through your VGM system (for example, Trade customers), allowing them to make as many lookups as they like. These limits will give you greater control over how your VRM Lookup credits are used online, and prevent abuse of those systems in the rare cases that they are misused. 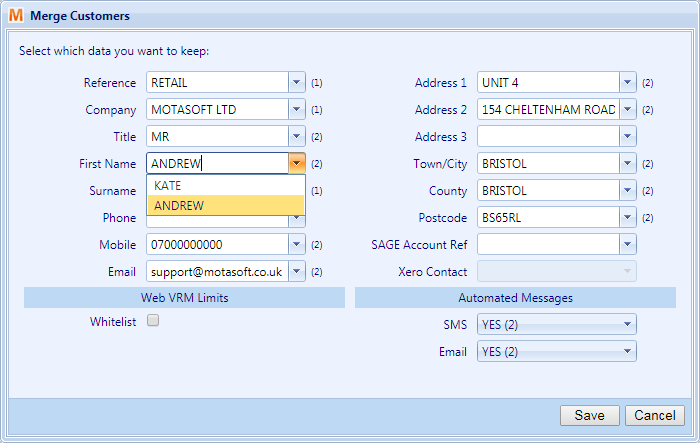 For more information about this or any of our other new features, please feel free to message us through the chat window in the bottom-right of your VGM system, or give us a call on 01179 428 678. This release includes many general bugfixes, with a focus on bugs in Parts and Tyres. All of the enhancements in this release also relate to Parts and Tyres, with performance improvements for some areas as well as some major new features including Advanced Tyre Markup, Stock Adjustments, and Temporary Parts. Bug: Using “Update Existing Reminders” when saving email templates passed in an incorrect Sender Address in some cases. Fix: Altered save process to always pass in correct Sender Address. Bug: Changing the current page, or changing the number of items per page in Search Tyres and Add Parts Work Item would de-select the currently selected tyre, but not update the lower page elements to reflect this. Fix: Lower grids will now rebind when changing page, or changing the number of items per page. Bug: User Settings in Search Tyres not updating & loading correctly on when posting back to server. Fix: User Settings now save and load correctly when posting back. Bug: Intercom system disappearing, but still leaving a non-clickable area in the bottom-right corner. Fix: Intercom iFrame was being removed when changing tab, amended hide iFrame functions to exclude Intercom frame. Bug: Some inline edit commands causing the Vat / Nominal code fields to reset on submit to server. Fix: Rather than checking the Value of the dropdown (which resets on submit), we now check the Text of the dropdown (which doesn't). Bug: "Send to Cameo" context menu button not displaying, introduced in the last version. Fix: When setting this option's visibility, new Context Menu items caused the wrong item to be selected. Now selecting by Value of the button, rather than index. Bug: Customer Email doesn't validate against existing emails when entering a booking. Fix: Added extra validation to check if the new Customer Email already exists in the database. Bug: "Technician: " labels were visible when editing a work item on non-jobsheet documents. Fix: On non-jobsheet documents, this label will now be hidden. Bug: Timing issues with displaying the Email Customer Invoice button in Add Edit Sales Invoice when using Firefox. Fix: Adjusted the element selection for the button to avoid potential timing issues. Bug: When deleting a part, Delete Process wasn't checking whether that part exists on Sales Quotations. 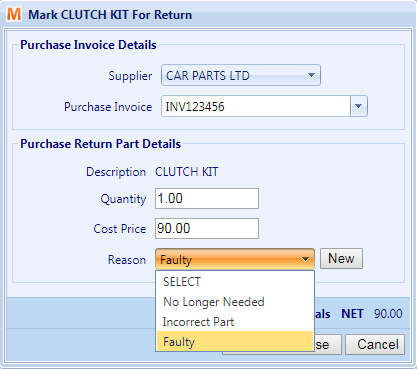 Fix: Added checks for existing Sales Quotations to Delete Items for Parts. 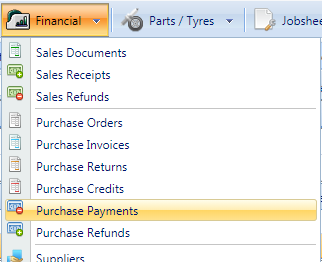 Bug: Every time you add tyres to a Sales Invoice, if VRM is not enabled a prompt warns the user that VRM is disabled. Fix: Removed VRM disabled prompt. Bug: Users cannot insert appointments into the Diary unless there are already slots available for that day. Fix: Users can now insert appointments into the diary when there are no existing slots available for that day. Bug: When changing a technician's name, the changes are not reflected in the planner. Fix: Saving a Technician now re-loads the Planner, and Planner Resource names are now loaded from the database rather than the user config settings. Bug: New Slot Types are created with a default VAT Code ID of 0, causing issues with reporting and diary views. Fix: New slot types are now created with the branch default VAT code. Bug: Slot Type Message Templates (Email) do not save/load Sender email correctly. Fix: Slot Type message templates now save/load sender emails correctly. Bug: When adding tyres to a sales document with only local stock enabled, filtering by manufacturer throws an error. Fix: This error was caused by trying to update some missing elements - we now don't try to update those elements in the context of a sales document. Adjusted the queries populating Search Tyres to run more efficiently. Added the "Stock Adjustments" feature under Parts. 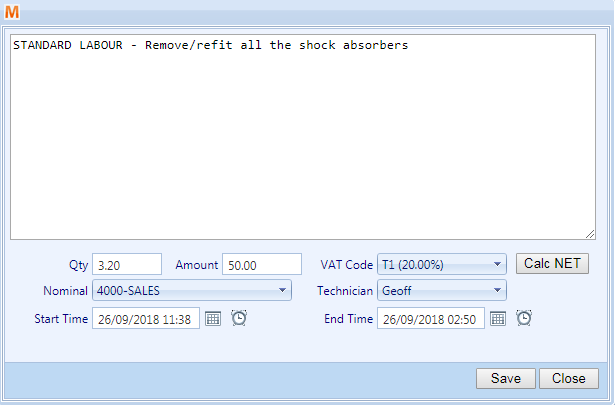 Users can now record "Add" and "Subtract" stock adjustments for parts and tyres, adjusting their stock levels without the use of a Purchase Invoice or Sales Invoice / Jobsheet. Please Note: For “Subtract” adjustments, VGM will automatically find the most recent Purchase Invoice for that part and set the Adjustment Cost to the cost on that invoice. Users can manually overwrite the associated invoice and the Cost value if they wish. 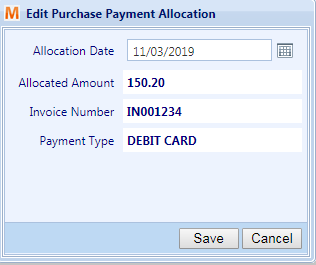 When converting a Purchase Order to a Purchase Invoice, if the currently edited line item has a different cost to its associated part in the database, VGM will now prompt the user to update the part cost if required. 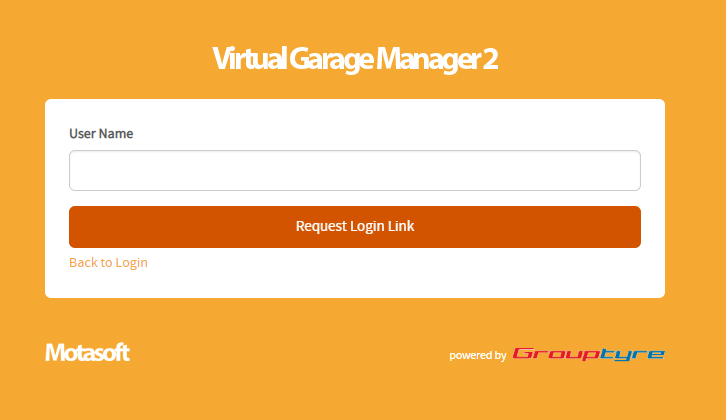 When adding or editing a part or tyre, VGM will now display the required fields with an asterisk. 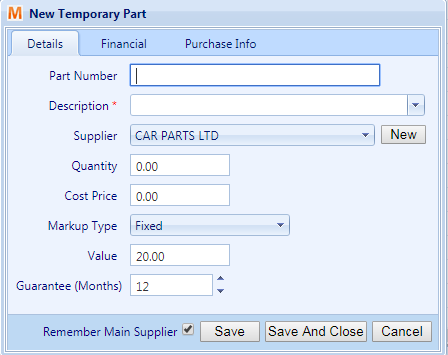 Users can now add Temporary Parts to sales documents. These temporary parts are single-use, and can only be associated with one document of each type. Temporary parts do not display in the normal parts grids and stock reports, and have their own area in VGM under "Parts". They can optionally be associated with a Purchase Order or Purchase Invoice. Please Note: Temporary part items on documents differ from regular part items because when they are edited, you will be editing the temporary part itself (rather than just a line item on a document). For this reason, making a change on a temporary part will also update the line item on any document it has been added to. Some temporary part fields are disabled depending upon which documents they have been added to, in order to maintain data quality. Users can now apply advanced markup criteria rules to Tyres. Using these rules, the user can refine their standard markup with rules based upon tyre Attributes, Manufacturer, Summer, Winter, Extra Load, Run Flat, SUV and Van tyre values. 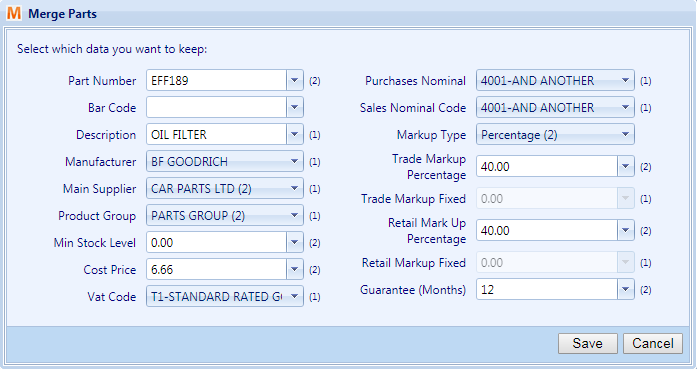 This markup can be applied as a percentage or fixed value, and can be applied to both Grouptyre stock and Local stock. Please Note: Recalculating tyre markup is done on a scheduled basis every 15 minutes. 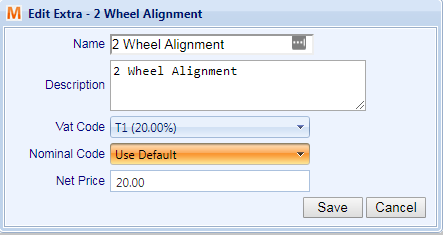 To force a system to recalculate markup on demand, the user will need to click “Save” within the Advanced Markup window, and then also click “Save” at the bottom-right of the Tyre Config tab. A progress bar displaying the recalculation progress will then open. Users can now create Local Stock tyres directly from Grouptyre Stock tyres, without having to place an order for that tyre. Users can now search for tyres using Barcodes. This will apply anywhere that tyres can be searched, to both the Local and Grouptyre stock grids.